After its sleek Stream MPV Honda's next family-orientated model looked a touch oddball in its stance, being wide and tall rather than long and slender. After its sleek Stream MPV Honda's next family-orientated model looked a touch oddball in its stance, being wide and tall rather than long and slender. The benefit was space inside, the FR-V cleverly adopting a three-by-three seating layout, which gave it the ability to carry both a full complement of passengers and all their luggage at the same time. Only offered until 2009, Honda quietly dropped it without offering a direct replacement. Introduced in 2004, the FR-V is one of only two MPVs in Europe to be offered with a three-seats-in-two-rows layout. Such a setup means that, unlike its rivals, you can have all six seats occupied without the need to rob boot space for extra pews. 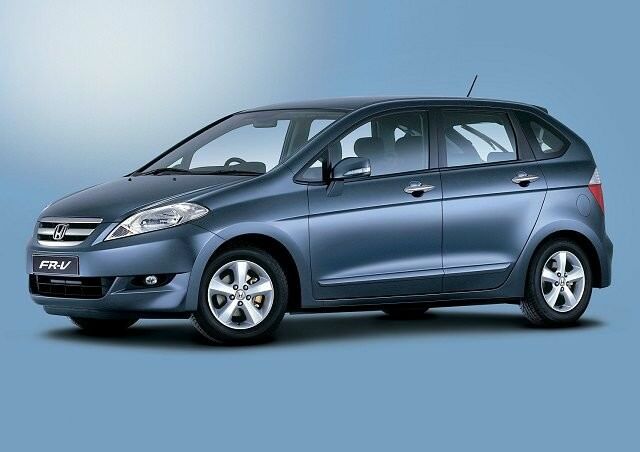 The disadvantage is that most of those MPV rivals offer an additional pair of seats in the luggage space, allowing an extra passenger to travel on board. It's a clever layout in the Honda regardless, though the middle front seat is best occupied by the smaller members of your troop - even if the seat is slightly set back out of the way. Introduced in Ireland powered by a 1.7-litre petrol engine with 125hp, it would latterly be offered with a 1.8-litre petrol option with 140hp. A 2.2-litre CDTi turbodiesel was available in other markets and arrived here later; it also produces up to 140hp. Most FR-Vs are manual, though the original 1.7-litre car could be had with either a five-speed manual gearbox or a four-speed automatic. The later 1.8-litre model gained a six-speed manual as standard with a five-speed automatic option. Trim levels included ES and SE, the majority of those in the classifieds being SE, which include alloy wheels, air conditioning and remote central locking. There's no real advantage in economy of the 1.7 over the later 1.8-litre car, though the larger engine dropped the 0-100km/h time by two seconds to a more respectable 10.1 seconds - though you're unlikely to be in a hurry in the FR-V, unless you're late for school. SE spec is most common, as are manuals, so a 1.8 manual in SE spec is about the best choice you can have. Honda's last hurrah in the compact MPV marketplace was a clever one and might just be a very canny used buy thanks to Honda's superb reputation for reliability. Surprisingly good to drive too, thanks to its width and stability, though it can be a bit tricky to park as a result. Still, well worth considering over the default Citroen Picasso and Renault Scenic options in the class.